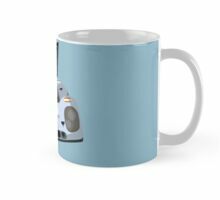 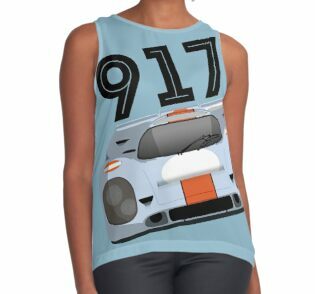 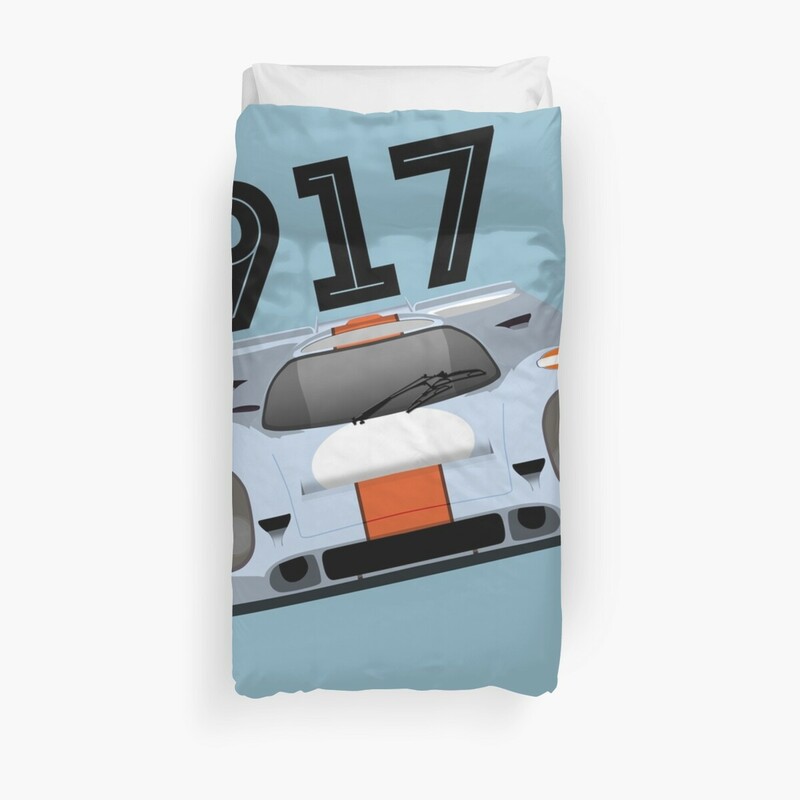 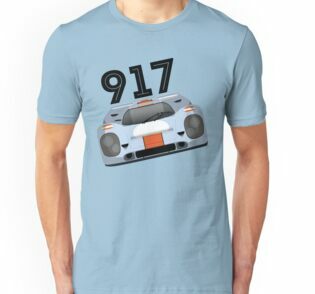 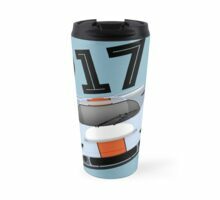 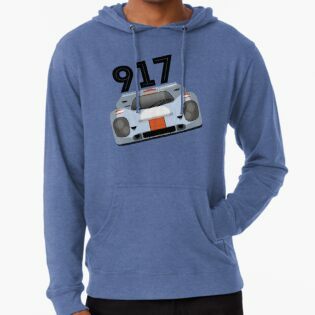 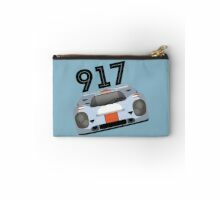 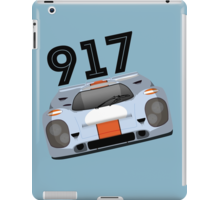 The Porsche 917 is a race car that gave Porsche its first overall wins at the 24 Hours of Le Mans in 1970 and 1971. 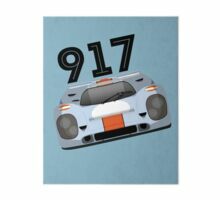 Powered by the Type 912 flat-12 engine of 4.5, 4.9, or 5 litres, the 917/30 Can Am variant was capable of a 0-62 mph (100 km/h) time of 2.3 seconds, 0–124 mph (200 km/h) in 5.3 seconds, and a top speed of up to 240 mph (390 km/h). 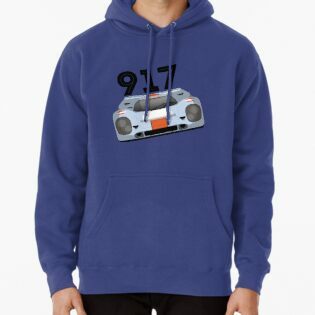 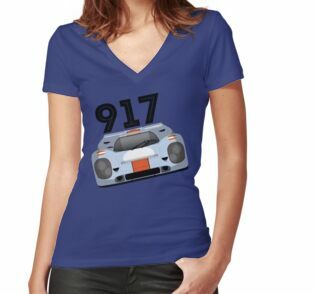 This is not, however, representative of the majority of 917s. 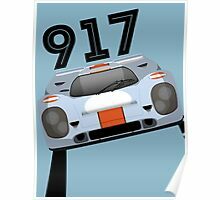 The highest official speed ever clocked for a 917 at Le Mans is 362 km/h or 224.4 mph. 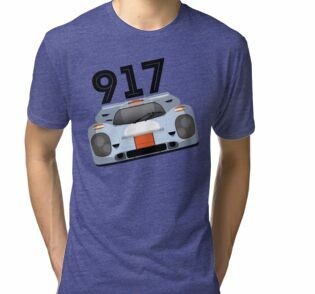 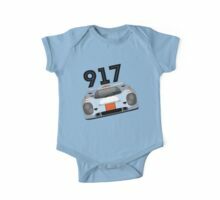 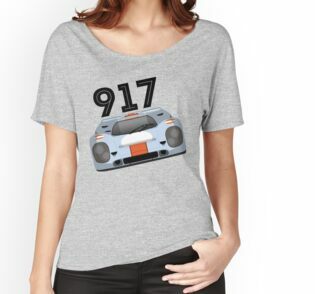 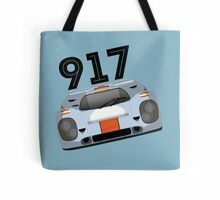 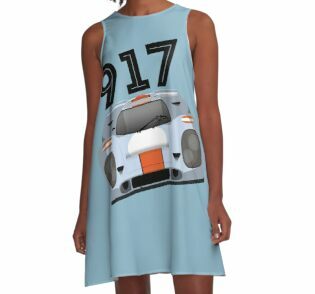 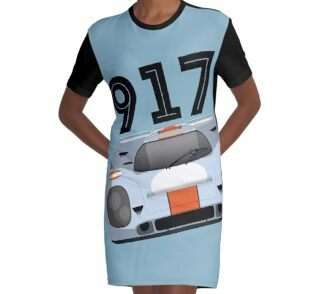 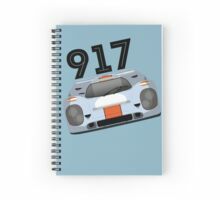 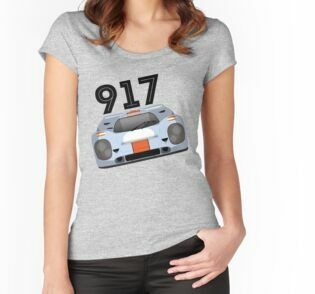 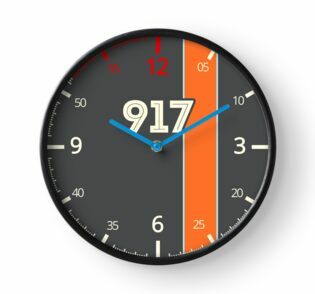 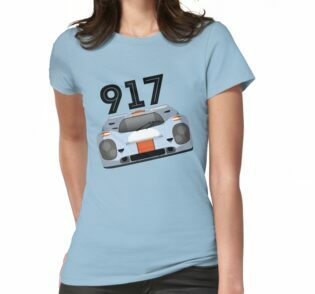 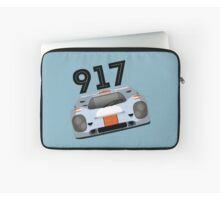 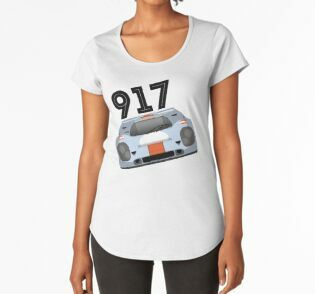 There are at least eleven variants of the 917. 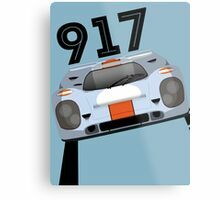 The original version had a removable long tail/medium tail with active rear wing flaps, but had considerable handling problems at high speed because of significant rear lift. 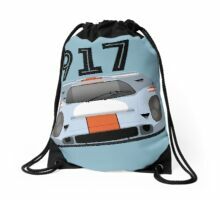 The handling problems were investigated at a joint test at the Österreichring by the factory engineers and their new race team partners John Wyer Engineering and after exhaustive experimentation by both groups, a shorter, more upswept tail was found to give the car more aerodynamic stability at speed. 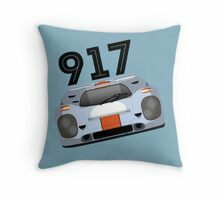 The changes were quickly adopted into a new version of the 917, called the Kurzheck, or short-tail, with the new version being called the 917K. 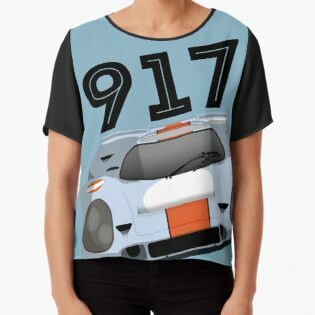 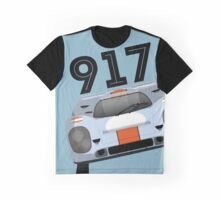 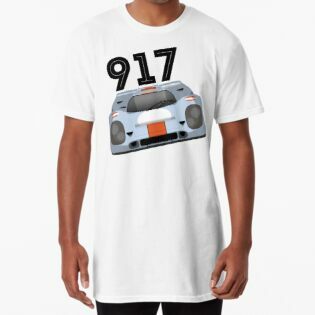 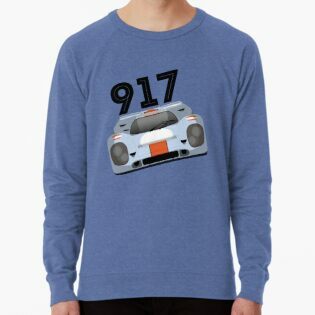 The 917K, and the special Le Mans long-tail version (called the 917 Langheck, or 917L), dominated the 1970 and 1971 World Sportscar Championships. 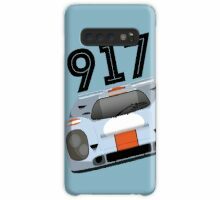 In 1971, a variant of the 917K appeared with a less upswept tail and vertical fins, and featured the concave rear deck that had proved so effective on the 1970 version of the 917L (see below). 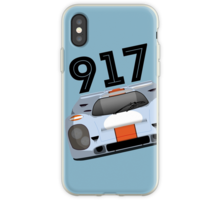 The fins kept the clean downforce inducing air on the top of the tail and allowed the angle of the deck to be reduced, reducing the drag in direct proportion. 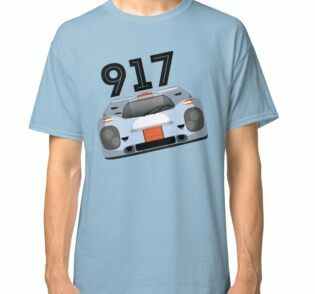 The result was a more attractive looking car that maintained down force for less drag and higher top speed. 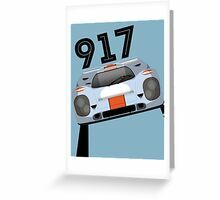 By this time the original 4.5-litre engine, which had produced around 520 bhp in 1969, had been enlarged through 4.9-litres (600 bhp) to 5-litres and produced a maximum of 630 bhp. 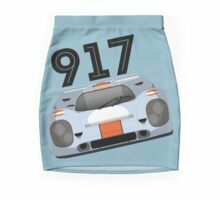 The 917K models were generally used for the shorter road courses such as Sebring, Brands Hatch, Monza and Spa-Francorchamps. 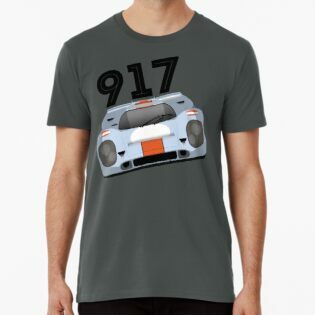 The big prize for Porsche however, was Le Mans. 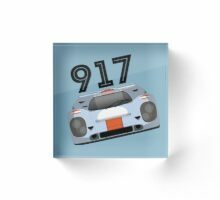 For the French circuit’s long, high speed straights, the factory developed special long tail bodywork that was designed for minimum drag and thus highest maximum speed. 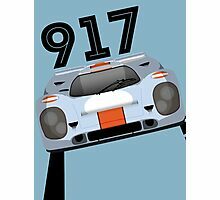 On the car’s debut in 1969, these long-tail (917L) models proved to be nearly uncontrollable as there was so little down force. 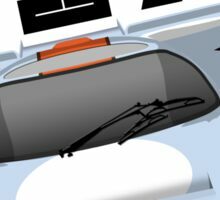 In fact, they generated aerodynamic lift at the highest speeds. 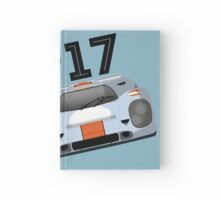 For 1970, an improved version was raced by the factory (although the John Wyer team still preferred the security of the 917K) and for 1971, after very significant development in the wind tunnel, the definitive 917L was raced by both factory and JW. 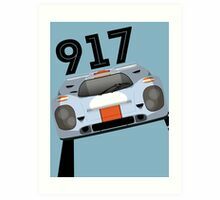 These cars were so stable that the drivers could take their hands off the steering wheel at speeds which reached 246 mph. 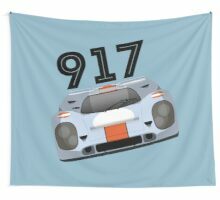 In 1971 Jo Siffert raced an open-top 917PA Spyder (normally aspirated) in the 1971 CanAm series. 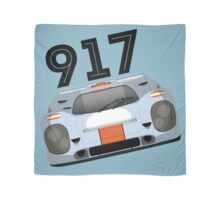 There is also the “Pink Pig” aerodynamic research version (917/20), and the turbocharged 917/10 and 917/30 CanAm Spyders. Porsche 917s also raced in the European Interseries in various configurations. 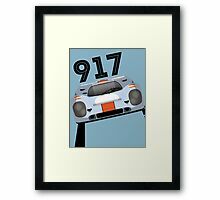 In the 1973 Can-Am series, the turbocharged version Porsche 917/30 developed 1,100 bhp (820 kW). 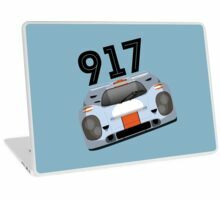 2009 marked the 40th anniversary of the 917, and Porsche held a special celebration at the Goodwood Festival of Speed (3–5 July).